EMILY Madden Forman’s decision to head to Glasgow for the Scottish Indoor Championships was rewarded with a silver medal. 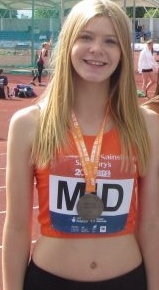 The Stratford-upon-Avon Athletic Club member, who is studying at university in Liverpool, and viewed the trip to Glasgow as the chance to practice for the British University Championships, so she was pleasantly surprise to go home with a silver medal after jumping a season’s best of 1.68 metres. Several Stratford AC track and field athletes are already showing encouraging signs at this early stage of the season. Various indoor open competitions held around the country help give athletes and their coaches an indication how the winter training has been going and what work still needs to be done to prepare for the upcoming indoor championships. The Midland Open events in Birmingham are well organised and U20 Jack Sumners took advantage of the indoor conditions to record his first sub-eight-second 60m hurdles time of 7.95 seconds. Ollie Cresswell travelled south to compete in the 60m hurdles at the London Senior & U20 Games and he ran a PB of 8.08 to finish fourth. This means Sumners and Cresswell are fourth and sixth respectively in the UK U20 rankings for 2019. 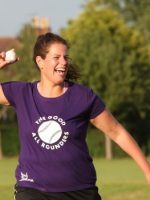 With just 0.3 covering the top six athletes, it augurs well for a great competition at the national championships in three weeks’ time. Sumners also jumped well in his first long jump competition of the year, recording a best of 7.06m, while Mathew Millward-Brookes leaped 5.92m. U15 Freddie Clemons is another hurdler off the Stratford conveyor belt who is making a big early season impression. He started the season with a PB of 10.01 and after just four races this month he has lowered his PB to 8.69 to lead the UK rankings for his age group. As he is primarily a combined eventer, Clemons’ needed to get more high jump competitions under his belt to be ready for the national championships. Two weeks ago he jumped 1.72m to move to fourth in the UK rankings, while his 1.65m leap in Birmingham showed promising consistency. Cole Williams has worked hard in the winter to improve his flat speed and it is paying dividends. He again lowered his PB in the U17 60m hurdles and 60m sprint with 8.21 and 7.38 respectively. He is currently third in the UK hurdles rankings. U17 Harry Sugden is only just starting to learn the technicalities associated with hurdling and he has gradually lowered his PB to 9.21. He is targeting a sub-nine-second run before the indoor season finishes in March.